Nutritional physiological and tolerance tests were performed for all type strains of species currently classified in the black yeast generaExophiala andPhaeococcomyces, including some additional type strains of taxa recently reidentified asExophiala species. Most describedExophiala species can be distinguished by physiological characters.Exophiala jeanselmei with its varieties, andE. castellanii should all be retained as separate taxa. The pairs of strainsMycotorula schawii/Exophiala dermatitidis, Hormodendrum negronii/Exophiala jeanselmei var.lecaniicorni andSporotrichum gougerotii/Torula bergeri were found to be conspecific. Phenetic analyses of physiological data support the identity ofPhaeococcomyces exophialae as a yeast-like synanamorph ofExophiala spinifera. 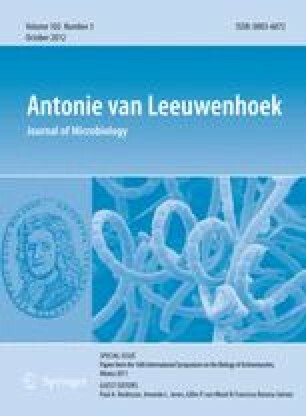 The taxonomic positions of the generaNadsoniella, Phaeoannellomyces andWangiella are discussed. The generaExophiala andPhaeococcomyces are unrelated.